An Egyptian newspaper claims the Muslim Brotherhood may have constituted a large, well-armed wing, with perhaps thousands of operatives, and its purpose is to engage in terrorist operations. The report, published May 27 in Egypt's Al-Masry Al-Youm, carried the headline, "Why is Security Silent About the Secret Armed Organization of the Brotherhood?" A potential mission for this Muslim Brotherhood armed division would be to send 10,000 trained fighters to south Lebanon (Hezbollah territory) and to Gaza to attack Israel. Author Hussaneyn Kuroum notes there are some Muslim Brotherhood leaders who refute the existence of an armed wing, but the current Secretary General (Guide) Mahdi Akef, has made statements clearly indicating that the organization has such an armed element. The article questions what the Egyptian security services may or may not know about this unit. "He said that he is prepared to send to South Lebanon tens of thousands of fighters. Will he send them with clubs and swords? Or will they be armed in a modern fashion, besides there being trained to fight? Mahdi Akef also said, 'I am prepared to send fighters to Gaza.' Good. He'll send them with what and how? Sure, armed and trained. The matter is clear. It can be easily concluded." The public suggestion in a respected, privately-owned Egyptian media source that the Muslim Brotherhood has a significant armed branch should be of keen interest to U.S. intelligence and law enforcement agencies. If this is true, it should put to rest any consideration by U.S. officialdom to engage the Muslim Brotherhood in substantial dialogue. It would seemingly weigh in favor of designating the Muslim Brotherhood as a Foreign Terrorist Organization (FTO). The Muslim Brotherhood is an Islamist organization based in Egypt. It was founded in 1928 with the goal of establishing an Islamic Caliphate under Shari'ah (Islamic law). The Investigative Project on Terrorism (IPT) has extensively documented the background and development of the Muslim Brotherhood here. The Muslim Brotherhood is an outlawed organization in Egypt; however, it wields significant political power and holds a number of seats in the country's parliament. Elements within the U.S. government, particularly some officials in the State Department, have supported dialogue with the Brotherhood, while other U.S. officials have proposed designating the Brotherhood as an FTO. Advocates of dialogue argue that the Brotherhood in recent times has "moderated" and, at least in part, embraced democracy. The Middle East Media Research Institute (MEMRI) has documented repeated instances in which Muslim Brotherhood leaders have publicly espoused support for violence committed by various Islamic terrorist groups when that violence is focused against Jews, "Zionists" and "occupiers," including U.S. military personnel in Iraq. The Brotherhood postures that jihad, including armed struggle, is the duty of every Muslim who is capable of performing it. For the Muslim Brotherhood, the ultimate goal of jihad is the subjugation of the entire world under Islam and Shari'ah law. 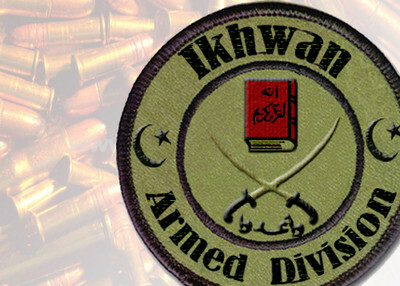 Several Islamist organizations in the United States derive from the Muslim Brotherhood. These include the Muslim Students Association (MSA), the North American Islamic Trust (NAIT), the Islamic Society of North America (ISNA), the International Institute of Islamic Thought (IIIT), the Islamic Association of Palestine (IAP), the United Association for Studies and Research (UASR), the American Muslim Council (AMC), the Muslim American Society (MAS), the Muslim Arab Youth Association (MAYA) and the Council on American-Islamic Relations (CAIR). A number of the officials and members of some of these U.S. based organizations have been convicted or deported based on their involvement with, or support of, terrorism. Several of the organizations, themselves, have been under investigation for suspected links to terrorism support or have been named as unindicted coconspirators in the recently concluded Holy Land Foundation (HLF) trial in Dallas, Texas wherein all the defendants and HLF itself were convicted on all charges, including counts directly related to supporting Hamas. Last summer, the Brotherhood's Deputy Supreme Guide acknowledged there remains an active wing of the organization in the U.S. which "are part of the American society and they want to an active positive role in it." In response to an interviewer's question, Mohammed Habib acknowledged a "relationship" between CAIR and the Muslim Brotherhood. The existence of an armed Muslim Brotherhood should refocus the way the U.S. government engages the various U.S.-based organizations that are rooted in the Brotherhood. Surely, such organizations that have supportive or operational links to a foreign, armed militant group that is dedicated, through violence if necessary, to the establishment of an Islamic new world order should be high on the investigative target list of U.S. intelligence, law enforcement and security agencies. The Foreign Agents Registration Act (FARA) requires persons or organizations that act on behalf of a foreign government or a "foreign principal" to register with the Attorney General of the United States. Failure to register when one is a foreign agent may result in criminal and/or civil sanctions. A "foreign principal" can include a foreign political party or, "a partnership, association, corporation, organization, or other combination of persons organized under the laws of or having its principal place of business in a foreign country." It would appear the Muslim Brotherhood meets the definition of a foreign principal for purposes of FARA. If the Muslim Brotherhood has an armed branch devoted to conducting terrorist operations, investigating organizations within the U.S. that have supportive or operational ties to the MB becomes even more urgent. HEHEHEHEHEH ROFL LOL /wipes tears from eyes HAHAHAHAH /gets a stitch in side from laughing so hard HEHEHEHEH HAHAHHOHOHAHAHAH /has to get paper bag to breathe into - laughing so hard got the hiccups!! /deep sigh Ok, I am better now, and thank you to ikhwanweb, THAT was the BEST laugh I've had in DAYS!! Aw - come on. We are not fools! The MB and all its circle of Islamic societies have lied consistently to EVERYONE. You think we are dumb enough to believe you. The lies of those within your circle have been proven and many are quite rightfully behind bars now, where they belong. The MB is a peaceful society following a reform agenda and believes in democracy, development, and peaceful and gradual reform as the only legitimate means for change. There is absolutely no such thing as a military wingstemming from the MB society and such accusations being made by the enemies of the MB are only hate-based stereotypes, lies, and distortions. The MB had previously declared, time and again, their clear and firm condemnation of the acts carried out by violent groups. The MB also clearly differentiates between legitimate resistance against occupation and terrorism which targets innocent civilians. We, at Ikhwanweb, believe that the seasonal campaigns launched against the MB in the West are linked with the progressing participation between the MB and the moderate circles in the West and that these campaigns are being managed by suspicious and anti-Islam parties.